Lego has been a really innovative toy over the years, and this time round at the Toy Fair 2010, Lego has again displayed the flexibility of their building blocks by boasting a bento box, huge Lego minifig alarms from the Star Wars universe, as well as a Lego Torch and Head Lamp that you see above. 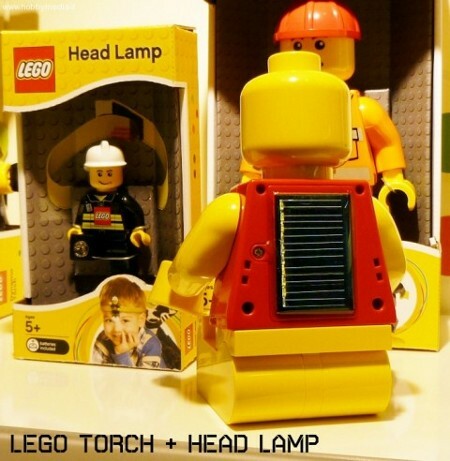 The Lego Torch and Head Lamp comes in the form of a regular, yellow-skinned minifig (albeit at a much larger scale), where there is a solar panel on the back of the torch to help it remain juiced up even when there are no batteries in the vicinity. Cute looking stuff – but can it withstand the rigors of outdoor use as they were meant to?